1st Class Mammy – ideal gift for Mothers Day or birthday… or just to say I love you Mammy! 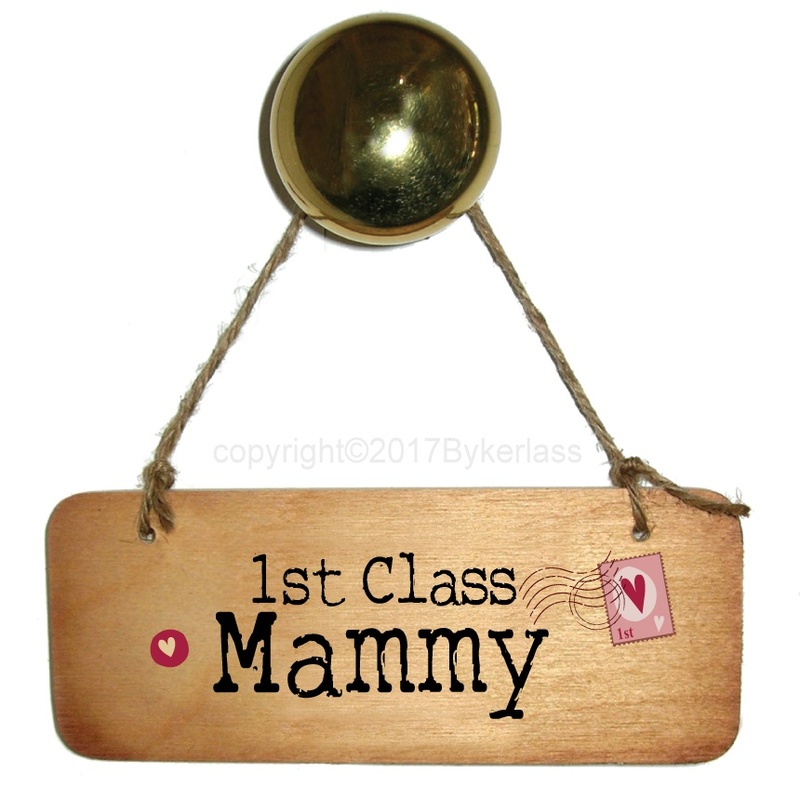 Wooden rustic style printed door sign with 1st Class Mammy with heart and stamp design. 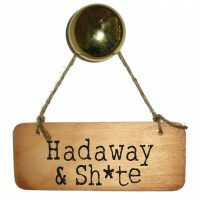 Natural wood rustic sign each hand made and is hung using natural jute. Sign size 175 x 67 mm. 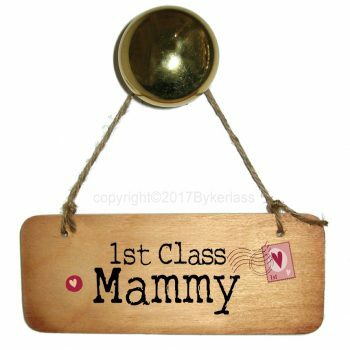 Quality item hangs beautifully.